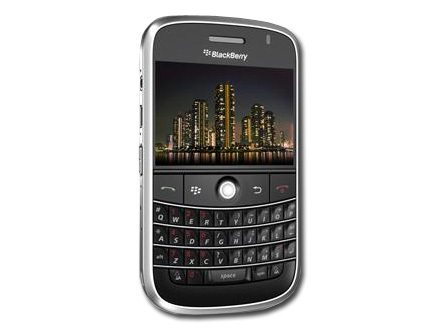 Blackberry from RIM (Research In Motion), a Canadian based mobile manufacturer is famous for its security that being widely used in corporate and enterprise world. While we seldom hear complaint on its quality and reliability, just recently NTT DoCoMo, the largest mobile network service provider has halted its sales of Blackberry Bold mobile phones due to device overheated issue. The BlackBerry Bold high end mobile units have just been sold in Japan market since last week with about 4,000 units already in consumer hands and so far both RIM and DoCoMo have received 30 complaints with keypad overheated issue during recharging. Surprisingly the issue only happened to BlackBerry Bold mobile devices being sold in Japan market but not to other regions. According to RIM spokesperson, the issue may not related to battery malfunction that being rumored earlier but could potentially due to software or specific customization being done since it only happens on Japanese version. Some of the customizations are around Japanese character keypad entry and the device is claimed to be supporting quad-band instead of tri-band in other regions for better reception in rural area for Japan market. Despite all these speculations, they are still in progress to investigate further before publishing an official report. Nevertheless, none of the consumers have experienced serious burning or fire incident up to date and the temporarily halting action is definitely better than recall action which could affect the company reputation in long run.